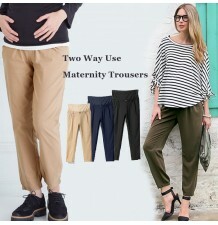 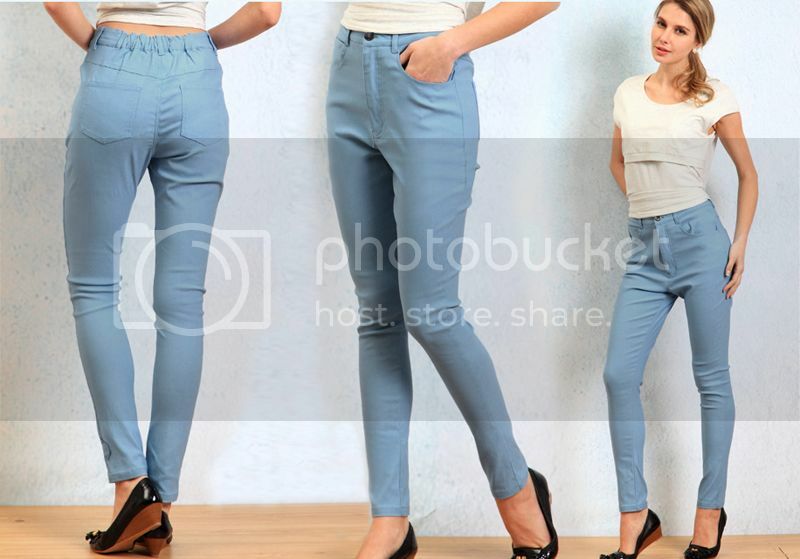 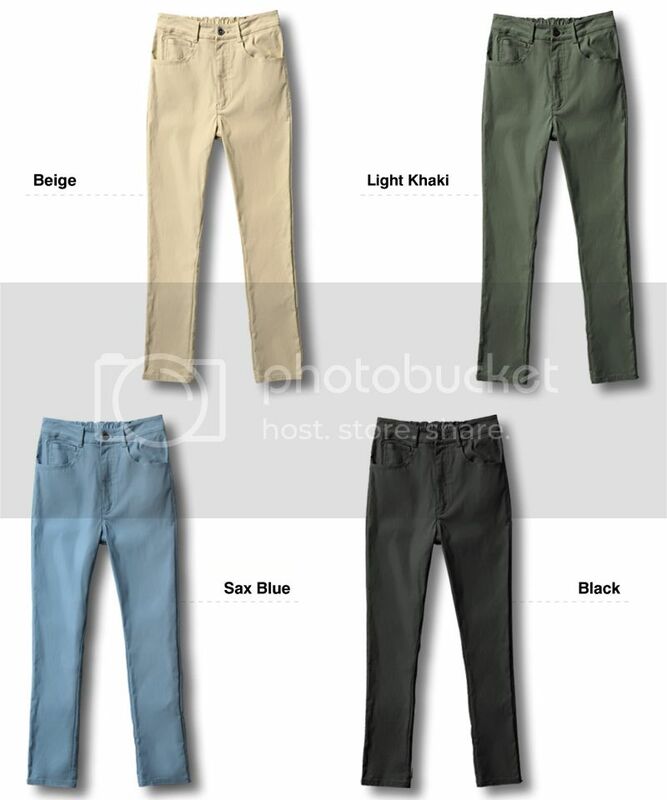 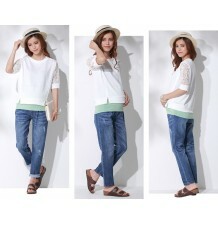 Maternity Skinny Denim Pants. 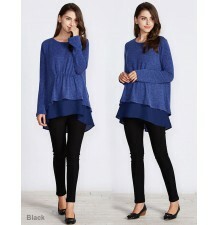 Suitable during pregnancy and after thanks to the special design. 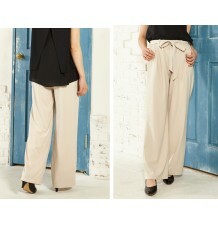 Waist is stretchy and has a special removable extension. 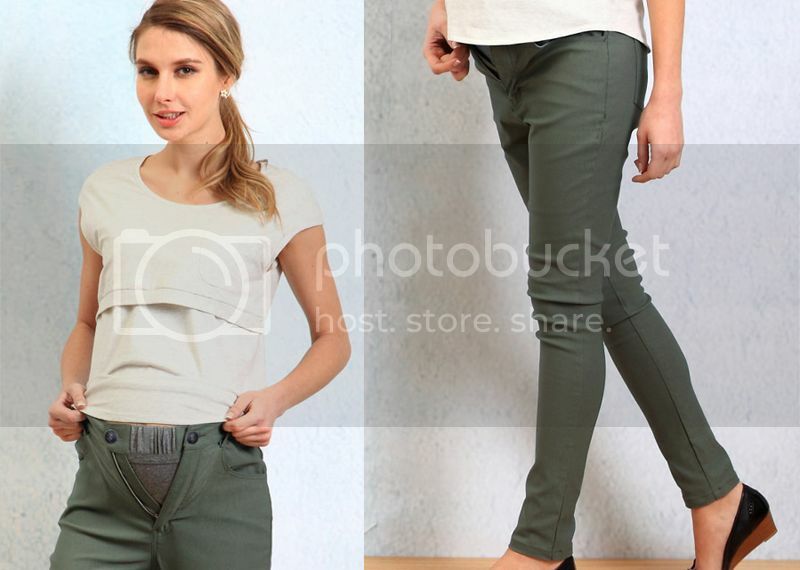 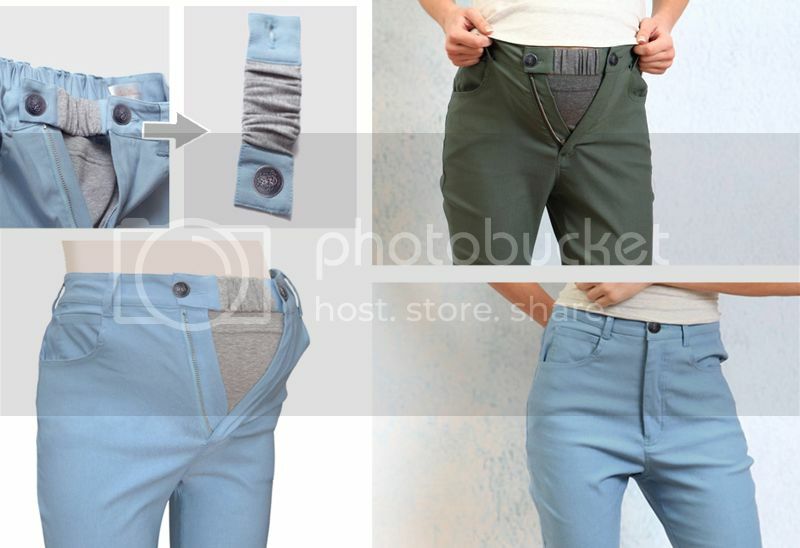 The belly extension is convertible: after pregnancy, the elastic hook can be removed and the trousers can be converted to regular pants.